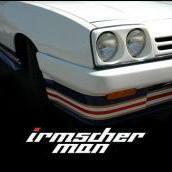 In late 1986, Irmscher was tasked with sprucing up the Manta GT/E model. This update became the GT/E Exclusive and was introduced in 1987 as a limited edition sporting model. This new model featured several items inspired by the Manta 400 Rally car. Quad Halogen headlamps and a deep boot spoiler gave the car an even sportier appearance. A new cloth trim was introduced, with the Recaro seats being light grey pinstripe. Only the Coupe body style was offered which featured anthracite coloured 6J alloy wheels as standard. Opel offered this model in conjunction with Irmscher following on from the success of the Manta 400 in the International Rally series. In similar fashion to the Irmscher specials, they looked in the parts bin and fitted the twin headlamps and a slightly redesigned 3 piece rear spoiler. They were converted from standard GT/E's at the Irmscher headquarters in Remshalden, Stuttgart. The headlamp units fitted to this early batch of cars was the superior design where the (general Lucas) lamps are fitted into a steel cradle and the bezel is a separate item which can be attached from the front using two threaded locating prongs, which fix in place at the rear of the lamp cluster with a pair of nylon adjusters. These do have a tendency to be over-tightened unfortunately, which can bend the lamp bezel. After 12 months of production, and due to the popularity of the model, Opel took over production of the Exclusive 'in house'. The specification remained the same but GM produced the headlamp units, as the Irmscher items proved costly. 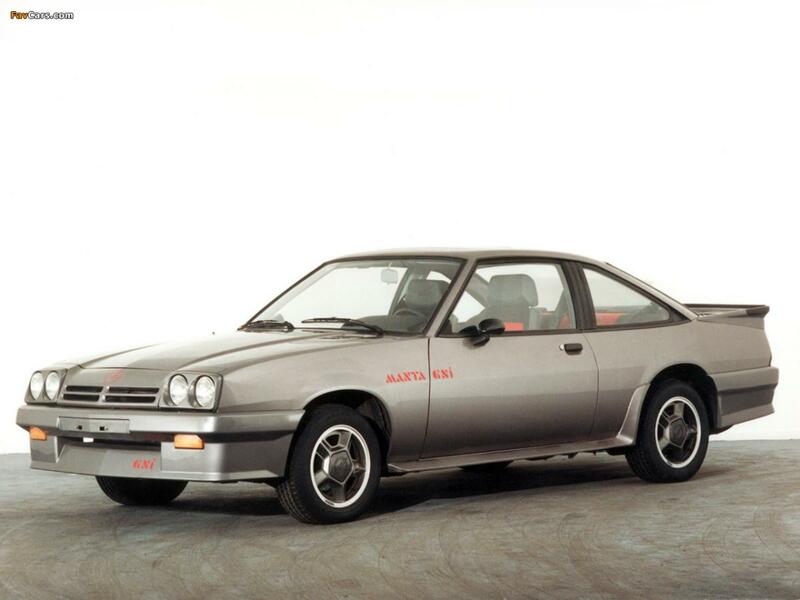 The GT/E Exclusive stayed in production up until 1988, when the last Manta left the line at the Opel Factory in Antwerp. 1979CC Fuel Injected engine as standard.